We are determined to provide our players with the best service ever. 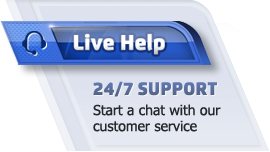 For that reason, the Play2win Customer Support Area, which is available 24/7 365 days a year, is ready assist you. If you have any query, don’t worry: just contact us and we’ll answer any questions you might have. We have experienced customer staff who can give you online support in different languages. Our staff will quickly help you solve any matter. You can receive support in different ways: you can contact us by clicking on the Chat button: An expert will instantly receive your query and clear all your doubts. You can also send us an email or contact us on the phone. You can choose any means you feel more comfortable with. respond to your inquiries and any concerns you may have. Inquiries regarding financial issue, deposits or withdrawals. Press Info and general comments or suggestion. You can receive support in different ways: you can contact us by clicking on the blue Live Help button: An expert will instantly receive your message and clear all your doubts.